Maximising the information captured from life and materials science samples is now possible with ease and simplicity, with the new Olympus UC90 microscope camera. Thanks to a range of features, the UC90 excels in capturing and documenting real-life details, while a 4K UHD mode supports scientists in overcoming the limitations of the oculars with the many benefits of complete on-screen operation. 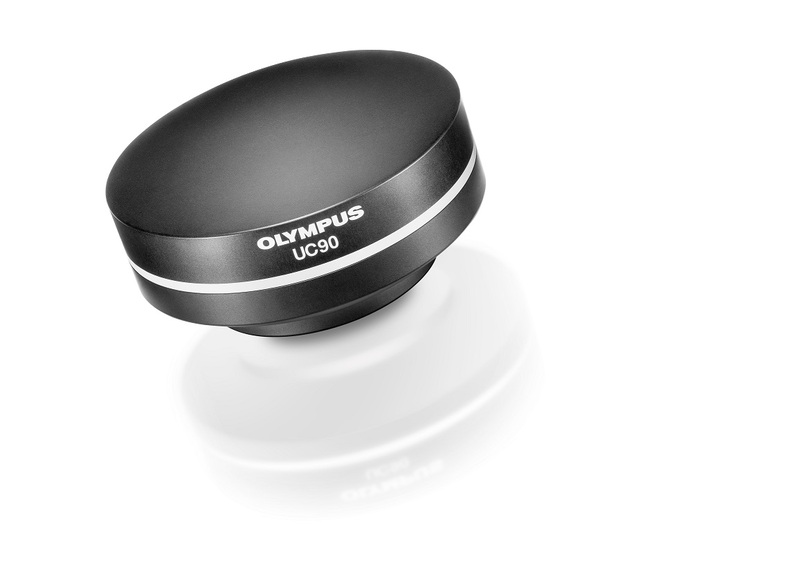 In-depth sample analysis is achieved without compromise, with the 1 inch CCD colour sensor of the Olympus UC90 camera containing 9 megapixels. This not only provides a large Field of View to cover nearly all the sample area normally observed through the oculars, but the high resolution in combination with perfect colour reproduction also retains the sample’s every detail. Without the need to switch objectives to capture large sample structures, operation at the monitor is fast and efficient, allowing the quick creation of fully detailed images that are ideal for documentation and accurate retrospective analysis. Stepping into the digital future, these high-quality images can now be clearly observed on-screen thanks to the new 4K UHD imaging mode, ensuring compatibility with 4K UHD monitors, large-screen TVs and projectors. Presenting large, detailed images vastly improves sharing and discussions, and lessens the need to verify observations on the oculars. Fast frame rates (26 fps) at 4K UHD resolution also allows fluid and accurate on-screen evaluation and clear presentations, in some cases even highlighting details missed through the oculars.